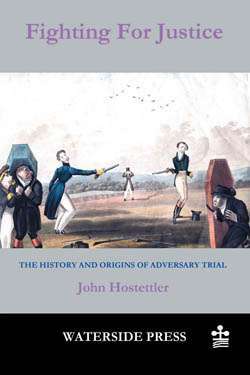 This book shows how adversary trial evolved in England only in the 18th century. 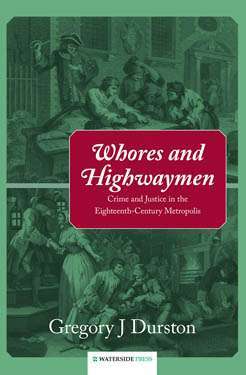 Its origins and significance have tended to go unrecognised by judges, lawyers, jurists and researchers until relatively modern times when conflict has become a key social issue. Even now, there is a major dispute as to how and why adversary trial came into existence and little connection has been made with its contribution to the genesis of many rules of evidence and procedure and the modern-day doctrine of human rights - whereby citizens are able to take a stand against the power of the state or vested interests. John Hostettler sets the record straight. 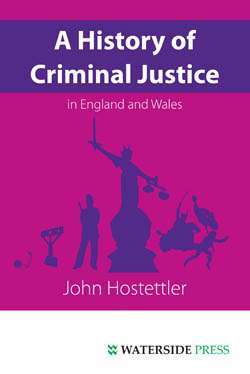 John Hostettler is an eminent commentator on criminal justice and its history. 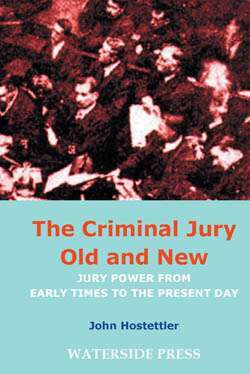 In this book he focuses not only on the birth and meaning of adversary trial but also on the historic central role of the lawyer and advocate Sir William Garrow Hostettler assesses how deep-rooted is the notion of opposing parties in the common law, the English psyche and thus within other countries such as the USA that have followed the same model - whereby lawyers champion opposing causes. 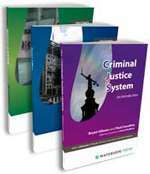 One aim of the book is to provide an aid to understanding of present-day moves for reform in the direction of restorative methods by outlining the contribution that adversary trial has made to the development of common law systems. 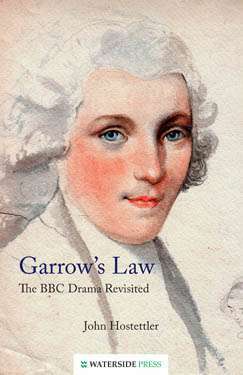 Sir William Garrow was born in Middlesex in 1760 and was called to the Bar in 1783. He was the dominant figure at the Old Bailey from 1783 to 1793, later becoming an MP, Solicitor-General, Attorney-General and finally a Judge. His claim to fame, however, rests on that 10-year practice at the Old Bailey. Prior to 1732 prisoners on trial at the Old Bailey and other Assize courts for felony (which generally attracted the death penalty) were not permitted to instruct counsel to defend them. 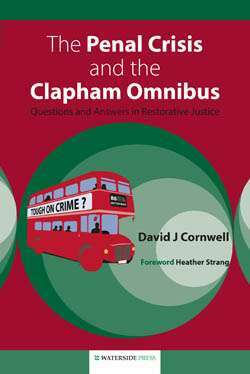 Trials were heavily weighted in favour of the prosecution and perjury was rife. As a consequence, almost imperceptibly judges gradually began to allow defence counsel to cross-examine prosecution witnesses. Garrow developed aggressive cross-examination to such an art and the lawyers captured the courtroom to such effect that the judge and jury ceased to participate in the conduct of the trial as they had hitherto. This led to adversary trial and rules of evidence, such as the presumption of innocence, which formed a culture of human rights that was later elevated into constitutional status by the US Bill of Rights and the French Declaration of the Rights of Man and spread around the globe. 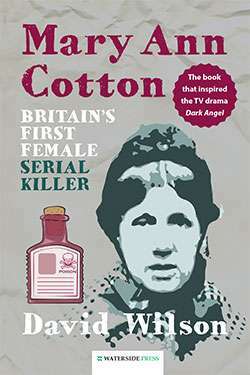 What Garrow fashioned became England s gift to the world. 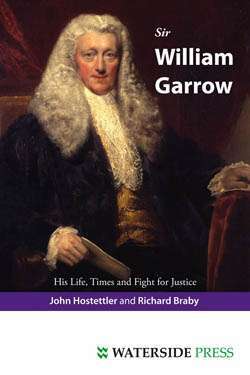 Sir William Garrow: His Life, Times and Fight for Justice (co-author Richard Braby, release Nov 2009), The Criminal Jury Old and New: Jury Power from Early Times to the Present Day, Famous Cases: Nine Trials that Changed the Law (co-author Brian P Block), Hanging in the Balance: A History of the Abolition of Capital Punishment in Britain (co-author Brian P Block), A History of Criminal Justice in England and Wales (Jan 2009). Alternative format ISBNs: PDF ebook ISBN 9781906534165.